Austria’s national rail infrastructure owner and operator, ÖBB, will train a record number of apprentices this year. At the start of September, 566 apprentices began ÖBB apprenticeship schemes around the country – a record for the company. 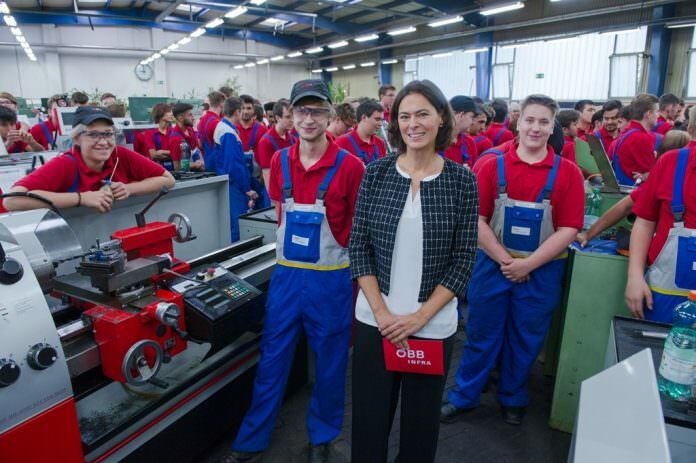 There are now more than 1,900 apprentices working within ÖBB. A higher proportion of women gaining a place on the scheme this year has resulted in a slight increase in the number of female apprentices overall (from 16 per cent to 17 per cent). ÖBB said it is investing €67.5 million between now and 2021 to hire more trainers and improve its training facilities. This will include the opening of a new centre in Vienna in September next year.